Music! Laughter! Food and Fun! Time to warm up your castanets and pull out those brightly-colored shirts, tank tops and tees! 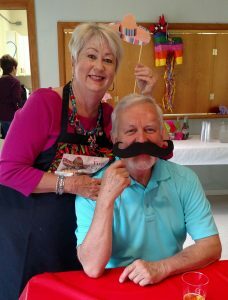 Come celebrate south of the border style at the Greater Hansville Community Center next month! 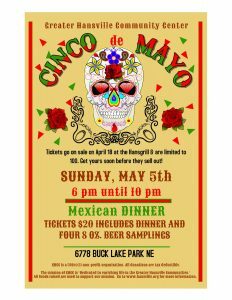 We are bringing you a Mexican dinner complete with two kinds of beer on tap. Four 8-ounce samplings of beer may be “purchased” with beer chips. 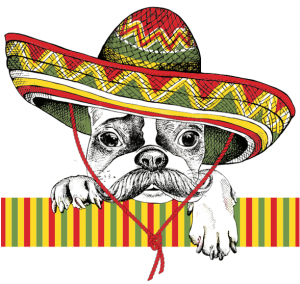 A bit of high-spirited Mexican music will set the tone for a meal of chicken, beef and cheese enchiladas, Mexican rice, refried beans and green salad. A special dessert will top off the menu. The dinner is being prepared for you by our own world-famous Hansville chefs. Tickets are only $20 and go on sale at the Hansville Grocery Store on April 18. Seating is limited to 100, so get those tickets early for this popular event. It’s sure to be a fun evening for all!